Cadet Minjie Li, 15, from Northumbria ACF's Pipes and Drums band won first prize in the novice chanter section of the regional piping championships. 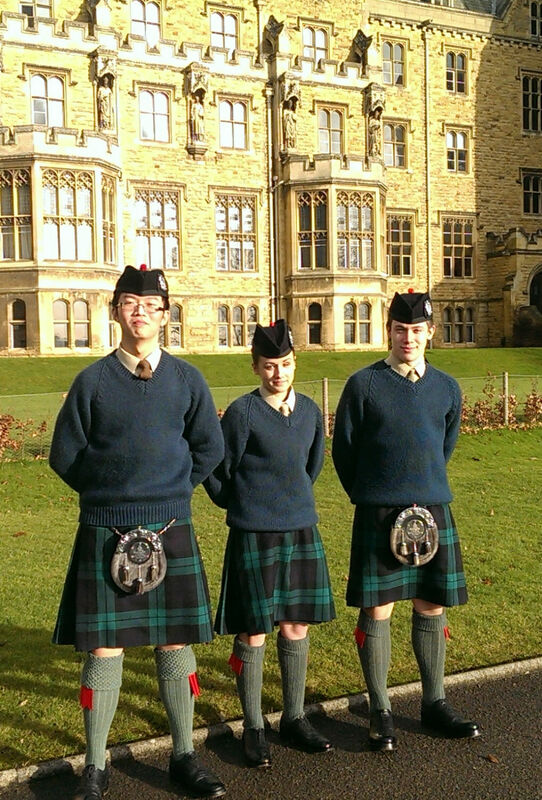 The competition held at Ampleforth College, Yorkshire was the first time cadet Li had entered a piping competition. Cadet Li, who attends the Heaton Manor School Detachment has been playing for just over a year with the Northumbria ACF Pipe and Drums and Highland Dancers. Cadet Li said, "I’ve practised really hard over the last year and winning this competition has been a great boost to my confidence". Two cadets from Northumbria competed in the novice chanter section with Cadet Corporal Tom Jones 16 also delivering a strong performance to take 7th place. The cadets train with 101 (Northumbrian) Regiments Pipes and Drums who are their affiliated unit and tutors. Piper Craig Noble 22 from Chester le Street who has tutored the cadet bands pipers over the last year said, "Teaching the cadets to play the bagpipe has been really rewarding for me and to see them now competing is a brilliant step for them". As well as competing in regional competitions the cadets take part in ceremonial events as well as military functions and regularly travel to perform at events around the UK. In the future they can expect to participate in overseas training and engagements like members of the Counties Cassino military band who last year undertook a musical tour of Italy. The cadets train on a Monday night at Kingston Park detachment. For more information about joining Northumbria ACF click here. 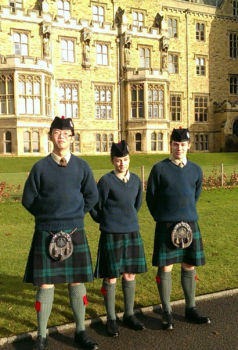 [pictured] Cdt Piper Minjie Li 15, Cdt Dancer Sophie Leyburn 16 and Cdt Cpl Piper Tom Jones 16 outside Ampleforth College prior to the competition.